It’s no secret that socialism – in all its forms – doesn’t work very well. You soon run out of other people’s money. And people don’t always want to give up their money readily. Or let you boss them around. Inevitably, the more ambitious your plans, the more people you need to kill. But today, we turn our attention to those who say we need to “reform” capitalism to save it. In this category, we lump all those who claim to support free markets – such as most of today’s Republicans and Democrats – but still think they can make them work better, with trade barriers, phony tax cuts, fake money, fake interest rates, regulations, controls, etc., etc. Whenever you read somebody in a newspaper suggest that “we need to,” you can be almost sure that the next words are nonsense. This is no exception. Circuses are not enough; the mob wants more bread. And after having cheated them out of trillions, Luce thinks we should at least toss them a few crumbs. Withholding, which was supposed to be a “temporary measure” to help finance World War II, is an insidious way of minimizing the pain of, and thus opposition to, taxes. Because people never actually get possession of the money the government withholds, they don’t miss it. Imagine how great public demand for an end to the income tax would be if every month we had to write a check to the IRS. This year, most Americans are owing less in taxes because of last year’s tax reform. Unfortunately, the benefits of the tax cut are going to be temporary because Congress and the President refuse to cut spending. In the two years that Republicans controlled both houses of Congress and the White House, federal spending increased by approximately 7.5 percent, or around $300 billion. Thanks to the GOP’s spending spree the federal deficit will reach $1 trillion this year, while the federal debt is now over $22 trillion dollars. This does not count the almost $100 trillion in unfunded liabilities which includes over $70 trillion in future Social Security and Medicare benefits. Trump rode a wave of average man outrage into the Oval Office. But the Orange Man could be swept out of it just as easily if he pursues what he has hinted at doing – raise the federal tax on gas. Not by a little bit, either. Nothing could be more politically suicidal. Besides which, it is just a terrible idea. More money to Uncle means, inevitably, less freedom for us. More ways to extort the states to impose more freedom-stifling outrages – everything from (historically) dumbed-down DUI standards – and the vile East German-style checkpoints to go with – as well as “buckle up” laws and dumbed-down speed limit regimes. Giving Uncle more money is – as the saying goes – like giving an idiot child a machine gun. Trump ought to know this. Don’t feed the Swamp Thing. U.S.—In a stunning new poll, Americans indicated they are OK with a 70% marginal tax rate, indicating that since the hefty taxes would only apply to other people and not themselves, they are alright with the extremely high taxes. Over the years, wise men have said a lot about the iniquitous nature of taxation. Chief Justice John Marshall likened the power of taxation to the power of destruction. Novelist Herman Wouk said the greatest fiction of all time is an income tax return. Most recently, conservative commentator Andrew Wilkow called taxpayers the new permanent underclass. While these morose words might have you ordering a new prescription for Prozac, if you subscribe to Keynesian economicphilosophy, then at least you’re stimulating a sector of the market! Americans can anticipate a somewhat different tragedy compared to previous years. In an attempt to show that Trump and the GOP’s tax cuts did not help the average household, the media has regularly reported that filers can expect smaller refunds. While this is technically correct, it is only true because income earners experienced less confiscation from their paychecks over the last year. Does it make it any better? Well, the answer to that question depends on how you respond to this one: Would you rather be stuck in a room with Rep. Alexandria Ocasio-Cortez (D-NY) reading the 6,500 pages of the U.S. tax code or would you rather spend eternity watching the Counterfeit News Network? Since the turn of the century, Illinois has been in the midst of a perfect demographic storm. 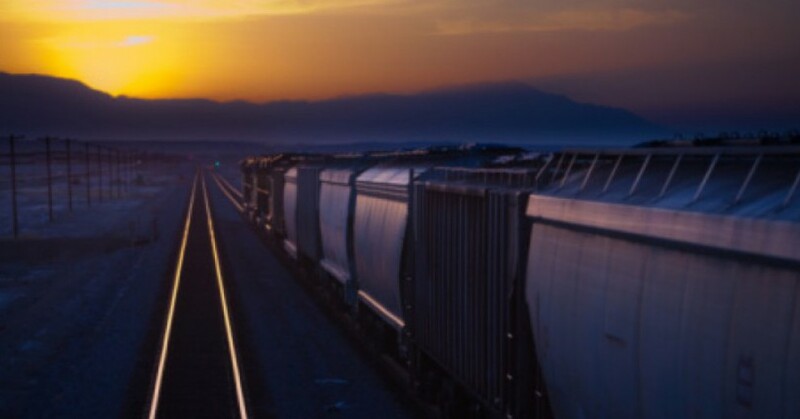 Residents are leaving the state in record numbers. The number of Americans moving into Illinois has hit new lows. Net foreign immigration has fallen by half. And the number of births has dropped by more than 20 percent. These demographic forces have all combined into a single troubling fact: Illinois is shrinking. The state has lost population five years in a row. In 2018 alone, the state lost 45,000 people, the second-biggest population drop in the country. The state’s growing domestic out-migration has been especially problematic. 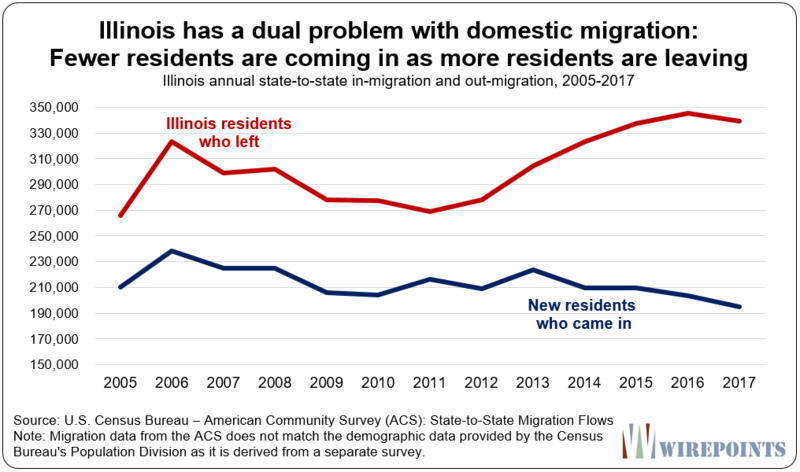 More Illinoisans are leaving the state at the same time that fewer Americans from other states are moving in. “The city is running a deficit and could be in a real difficult spot if we had a recession, or a further flight of individuals because of tax reform,” said Milton Ezrati, chief economist of Vested. De Blasio has detailed $750 million in savings for the preliminary fiscal 2020 budget, but that won’t be enough to stave off a bloodbath if New York’s economy is hit by financial shocks — including a recession, which some see on the horizon — analysts warn. Gov. Cuomo’s preliminary budget has $600 million in city cuts in the coming year. But city spending, up some 32 percent since de Blasio took office — triple the rate of inflation — may need to be cut deeper, these analysts add. The city’s long-term pension obligations have escalated, as well, as its workforce has soared by more than 33,000 in the last five years.